The Eastern Zhou continued to rule a much-reduced territory during the Late Zhou period in the face of opposition between as many as seven other kingdoms. The pretence of there being a single Chinese kingdom had ended. The Zhou king was still regarded as the emperor, at least in official records, but in all senses other than name alone he was the king of Zhou only, and nothing more than a figurehead in any other respect. The Late Zhou are often labelled emperors, if only as a way of ensuring that there is no break in the line of imperial rulers, but there was no empire to rule anyway. The Zhou capital remained at Luoyang at first, but Ka'o Wang provided a division of Zhou lands which would solidify into two separate states - East Zhou and West Zhou. Neither territory was very big, reflecting the massive diminution of Zhou power during this period, but both had capitals, with Wengchang in the west and Chengzhou and Kung in the east. In the end the Zhou lost the west to the Qin and were bottled up in the east until, in 249 BC, that too fell, ending the dynasty and leaving the imperial title vacant for almost three decades. Son of Ching Wang / Jing Wang of the Middle Zhou period. Son. Killed by Si after 3 months on the throne. Brother. Killed by K'ao after 5 months on the throne. During his reign K'ao Wang gives his younger brother, Xīzhōu Jī Huán-gōng, the town of Henan in the western section of the remaining imperial territory. With the title 'Duke of West Zhou', the territory is governed as a feudal fief, but the creation of a recognised division of Zhou lands has lain the seeds of further Zhou disintegration. It is the duke's great-grandson who becomes the first duke of East Zhou, removing the remaining Zhou territory from the emperor's control other than the capital itself. The three Jin states which had triggered the 'Warring States' period in the first place - Han, Wei, and Zhao - are officially recognised by Weillie Wang. The act effectively provides a closing bookend to the long-running 'Partion of Jin'. He organises them into feudal states so that they can act as a buffer between the core Zhou lands and the increasingly belligerent and independent-minded Qin - although at the moment the Qin technically remain an imperial subject. Unfortunately, all of the states are given a push by this act towards establishing themselves as kingdoms in their own right. The core Eastern Zhou lands are divided into two states - East Zhou and West Zhou - and are largely under the control of rival warlords with the Zhou themselves being protected due to their status but effectively powerless in terms of playing any real role in how events unfold. The West Zhou capital is established at Wangcheng, while the East Zhou capital is at Chengzhou with another important centre at Kung. An Wang himself is largely an unknown figure, as is his son, Lie Wang. The imperial state has existed for some years as an increasingly meaningless concept, with the states that form the majority of its territory showing increasing levels of independence in thought and deed. During this short period several of their leaders - in Han, Qin, and Yang - declare themselves to be kings of their states, no longer recognising imperial authority even nominally. The Qin kingdom conquers the independent Shu state which is located in the modern Sichuan province. For the first time, this act draws the Sichuan Basin into a China that has previously been centred along the Yellow River. Son. 'King of Chou/Zhou'. Deposed & executed. Last of the Zhou. In the first seven years of his reign, Nan Wang has moved his capital into the duchy of West Zhou. Now Qin attacks Han and Chu comes to Han's defence. Zhou is nominally on the side of Qin, but Nan Wang has to resort to ever more desperate diplomatic intrigues to avoid being attacked by any of these former vassals. The Zhou have long since lost any military power, but their political power has also faded sharply, leaving them as figureheads and bargaining tools. 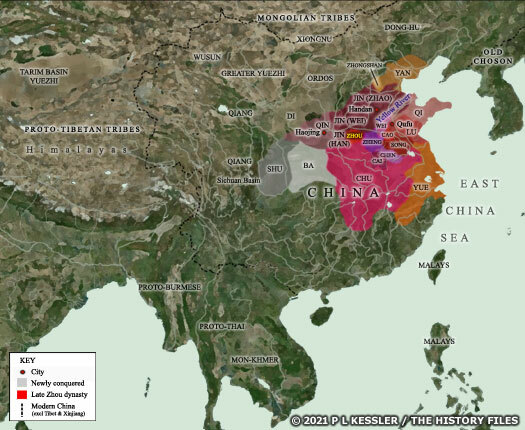 Even their surviving core territory at the heart of the old Chinese state has been divided, with the western section more recently providing the Qin with their capital. Nan Wang has conducted a political game of survival, playing his opponents off against each other, and has survived for an astonishing fifty-nine years as the Eastern Zhou emperor. 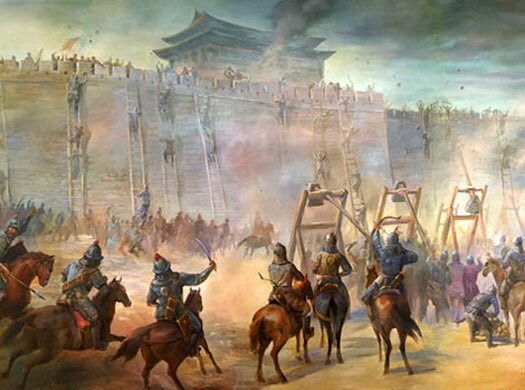 Now in 256 BC the Qin capture the city of Chengzhou, ending the Zhou dynasty. Nan Wang is deposed and executed. Duke of East Zhou. Claimant as King Hui, but not recognised. The city of Chengzhou has apparently not remained in Qin hands since 256 BC as it has since formed the capital of King Hui's East Zhou kingdom which claims the imperial title. 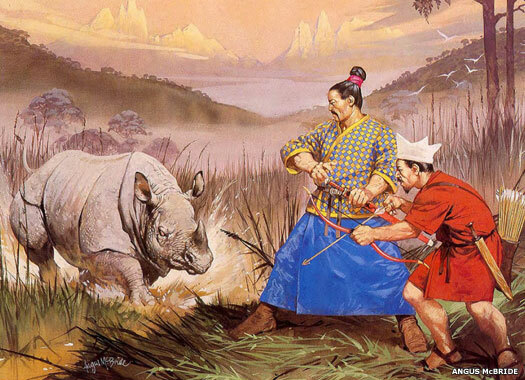 Now the Qin capture the remaining Zhou territory of East Zhou and the so-called 'King Hui' is executed. A descendant of his or the immediate Zhao family can be found as a general in the armies of the Later Han in the first century AD. Following Hui's death, the imperial title remains vacant for almost three decades as the Qin pursue their war of conquest against the other kingdoms, but it is a Qin king who will go on to reunify China in 221 BC as Emperor Shi Huangdi of the Qin dynasty.